Our undergraduate entrepreneurship courses focus on developing an “entrepreneurial mindset” and the value that entrepreneurs create. The curriculum is designed both for students who want to work within a startup, and students who might want to launch an entrepreneurial venture at some later stage in their careers. 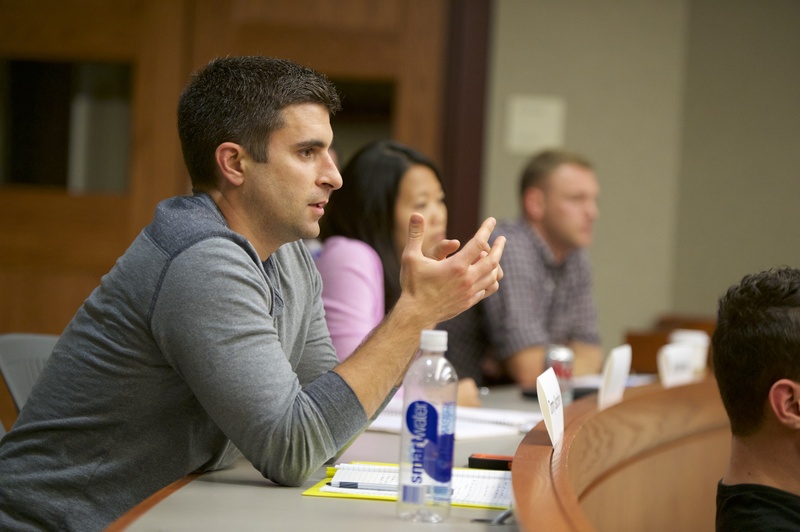 The MBA Entrepreneurship Track is designed for McDonough MBA students with a strong entrepreneurial interest. These weekly informal “walk-in entrepreneurship clinics” are open to all Georgetown students. Participants can speak with our Entrepreneurs in Residence, and with each other, about their business ideas, career choices, and other topics. Students interested in starting their own venture are highly encouraged to attend. The Entrepreneurs in Residence Program is one of the primary ways that we connect the Georgetown campus to the “real world” of entrepreneurship. 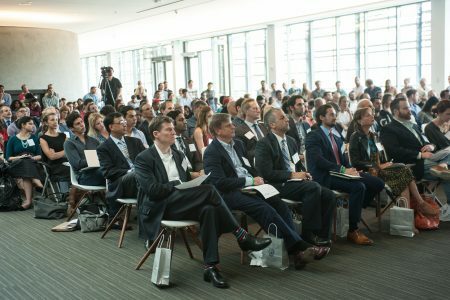 Accomplished entrepreneurs – many of whom are Georgetown alumni – attend chalk talks to share the knowledge they have gained from their own experiences as entrepreneurs. Under the banner of the Georgetown Entrepreneurship Club, we provide a growing suite of academic, extracurricular, and off-campus programs, and connect our students to accomplished alumni, industry experts, entrepreneurs and business executives. Our mission is to create a culture of entrepreneurship throughout the Georgetown University community and to ensure that every graduate and undergraduate student has the opportunity to explore and experience what is means to behave like an entrepreneur. 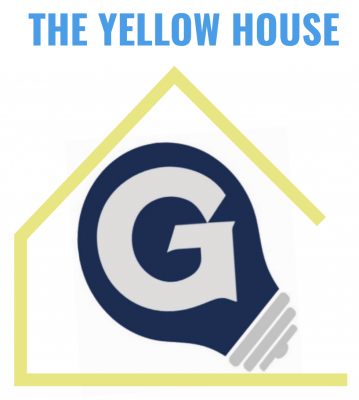 The Yellow House, at 1239 37th Street, is our new student headquarters for entrepreneurship-related conversation and gatherings at Georgetown. Our mission is to foster an inclusive and dynamic community to increase the level of engagement in entrepreneurship at Georgetown. The Yellow House is a casual and fun space for students to come and share ideas or just hang out. We’ll also be hosting events on a regular basis. To find out what is happening, check out our Google calendar at yellowhouse@georgetown.edu. 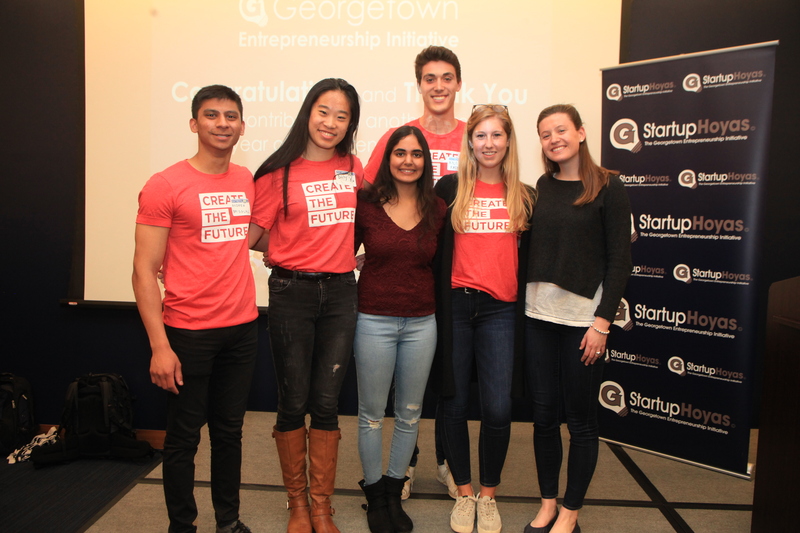 The Georgetown Entrepreneurship Club brings entrepreneurially minded students together by fostering the creation of businesses through involvement in competitions and by providing educational resources. 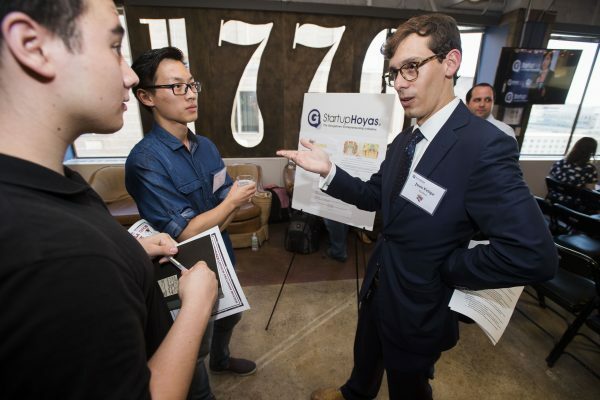 The Georgetown Entrepreneurship Club hosts events and competitions throughout the academic year for undergraduate and graduate Georgetown students with a focus on encouraging students to hone their ideas, develop their business plans, and create pitches to present to judges. While participation in every event is not required, each event builds off the other such that engagement from the beginning of the year will help in the formation of a successful business venture. A makerspace is a physical location that provides access to specialized tools, like 3D printers, laser cutters, and fabrication supplies. Makerspaces are designed to help self-directed inventors and creative teams gather and share resources and knowledge. 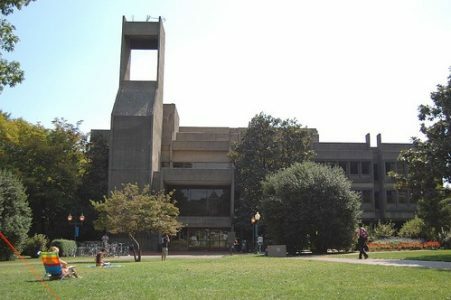 The Gelardin New Media Center (GNMC) is Georgetown University’s main resource for turning ideas and research into multimedia projects. An experienced staff is available to help connect you with the knowledge and tools that you need. All equipment and media resources are free to use for Georgetown students, staff, and faculty. Also, the GNMC offers facilities for post-production and other digital media endeavors. 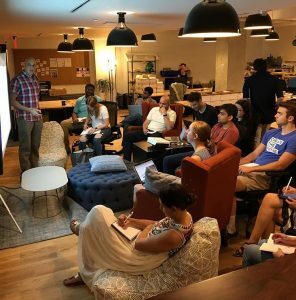 The Georgetown Entrepreneurship Summer Launch Program is a startup incubator program designed specifically for Georgetown students and current year graduates who want to launch a new venture. Many of our most successful student-led ventures have participated in the Georgetown Entrepreneurship Summer Launch Program. Several have gone on to gain admission to other regional and national accelerators, or receive other offers of investment and support. Looking for a job or internship with a startup or in the field of entrepreneurship? 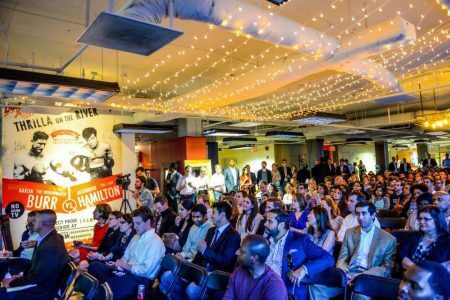 Check out our job listings and connect with some of Washington, D.C.’s most exciting young companies and entrepreneurship organizations. 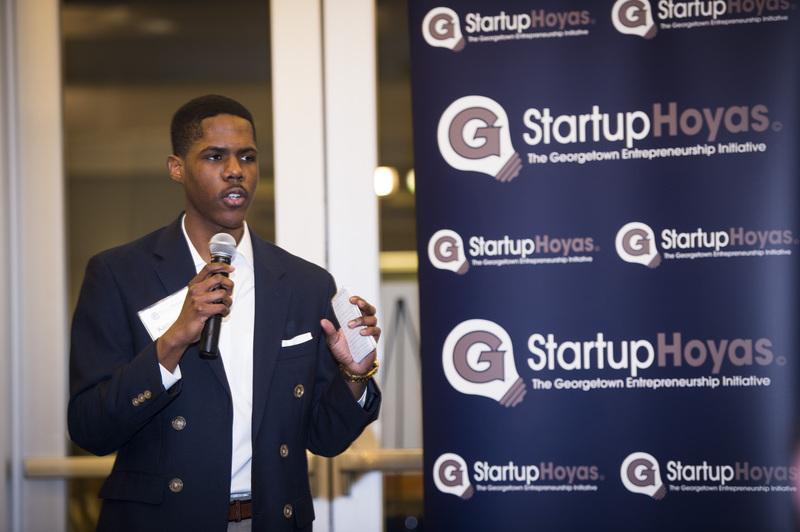 Georgetown Entrepreneurship is frequently asked to identify students for internships & projects. These may include writing a business plan, evaluating a market, or helping to develop a concept. Note: Listings that do not specify a submission deadline will be removed eight weeks after being posted. Please direct all inquiries to startuphoyas@georgetown.edu. 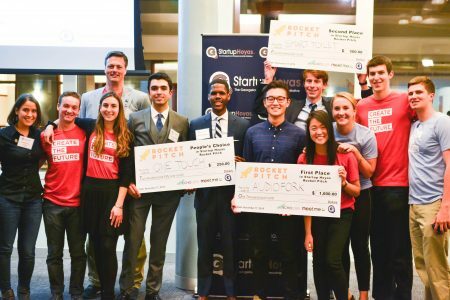 The Startup Stipend is designed to help graduating seniors make the choice to pursue an entrepreneurial opportunity without the anxiety of student loan debt. 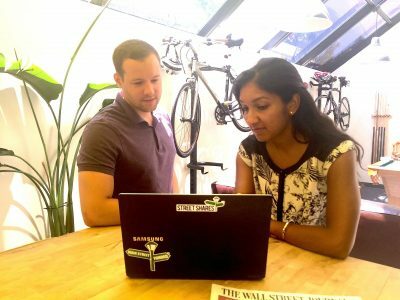 If you are passionate about starting a company, but your fear of student debt is pushing you to “find a job” instead, the Georgetown Startup Stipend might be for you.